I’m a big fan of the sourdough overnight rise i.e. proofing sourdough overnight. 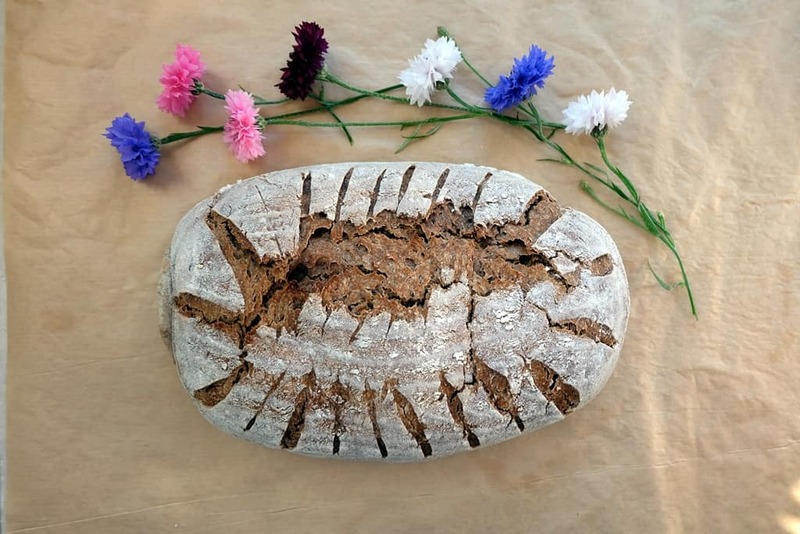 It allows me to fit sourdough baking into my daily routine more easily and offers an opportunity to improve the flavour and aroma characteristics of my loaves. In this post, I wanted to share some basics and tips around using this technique. 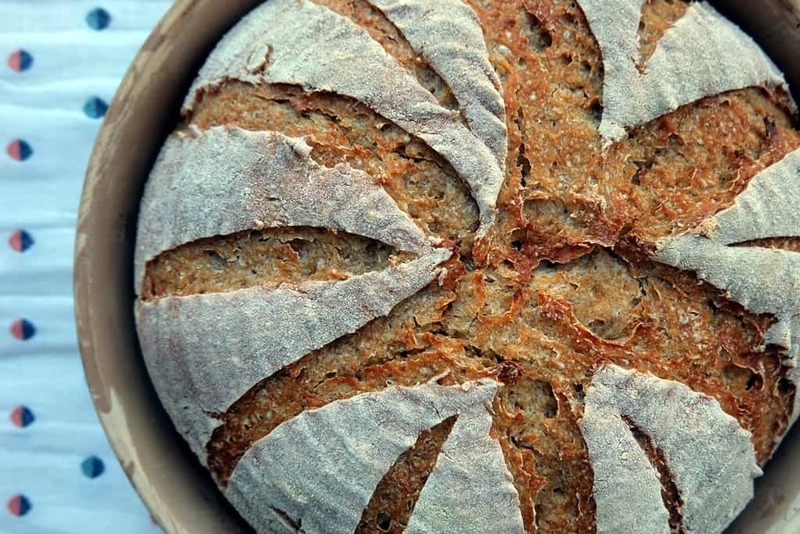 How does the sourdough overnight rise method work? Fermentation will continue during refrigeration which will ensure the rise takes place albeit more slowly. By slowing down the process, sourdough breads that ferment overnight in the fridge develop more acidity during this time. 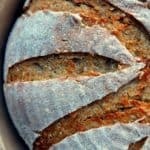 In general, there are a few things to look out for when baking an overnight sourdough bread recipe. 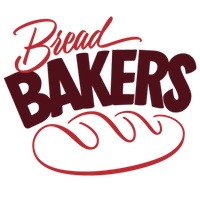 This method relates to the initial rise of the dough once you have mixed your dough ingredients including the refreshed sourdough starter. 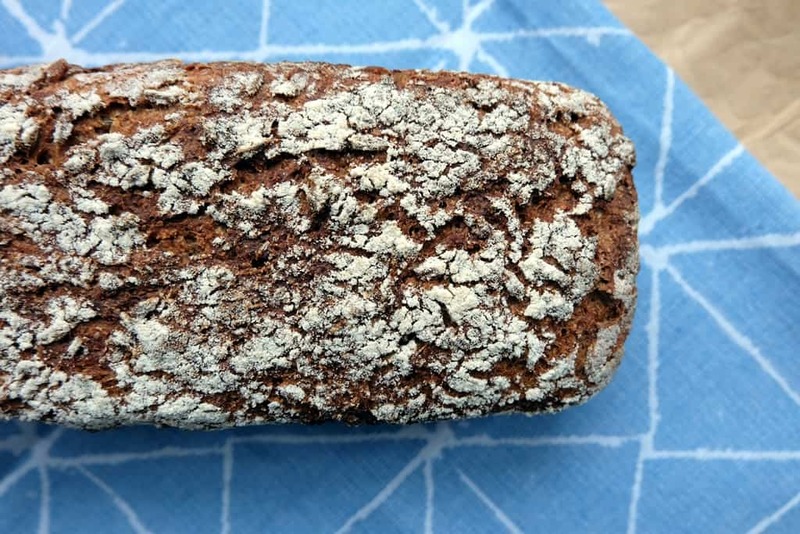 If you want to give your bread a good, long rise for reasons of flavour and nutritional quality but you cannot start the process until late in the evening, this would be a good option. 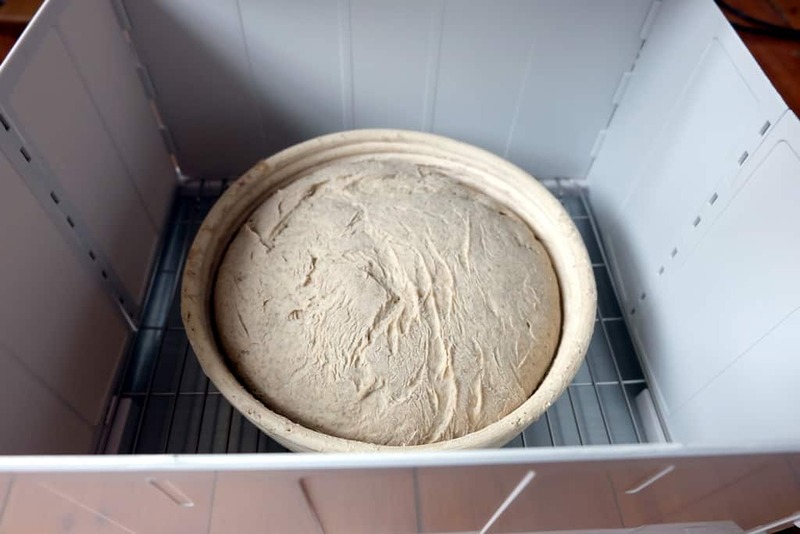 Try to mix the dough at around 27°C (you can influence this by using water at this temperature) to give it a head-start, then place in the fridge at 5°C overnight before shaping the loaf and its final proof. This is a great method if you want to bake your loaf first thing in the morning. Overnight proofing however isn’t risk free as proof times will as always vary based on the dough temperature and general vigour of the sourdough used. 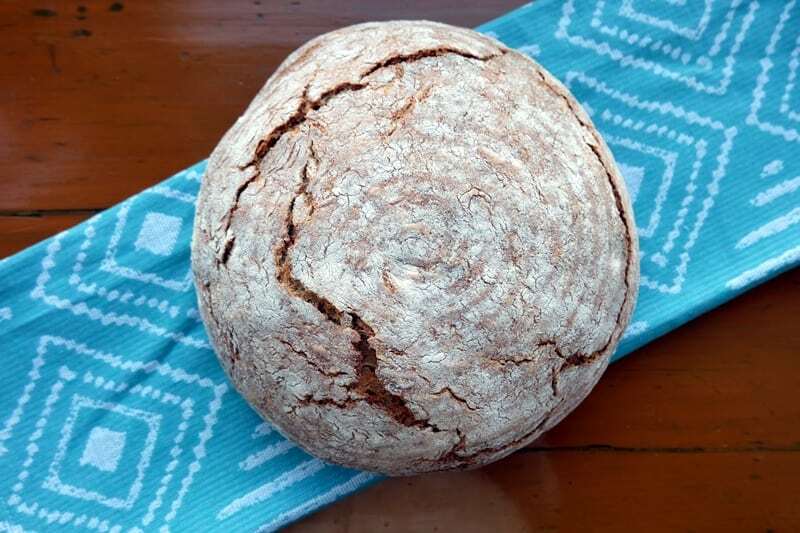 When I use this method, I tend to use water 27°C – 32°C for mixing the main dough ingredients and leave it to rest at room temperature for a good few hours before shaping the loaf. This means the fermentation process has well and truly started by the time the loaf goes into the fridge. However, if your dough is too lively at this stage, or your fridge not powerful enough, the loaf may over-proof before the morning and you won’t be there too notice until it’s too late. On the other hand, the dough may not be lively enough and the fridge will slow things right down. 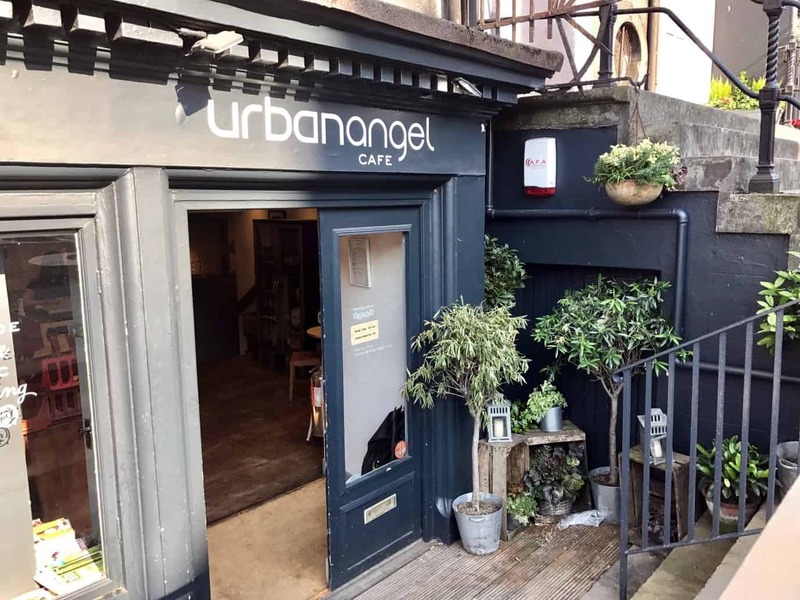 So by the time the morning comes, your dough may not have risen enough and due to the cold dough temperature it will take a while to get it to its final fully proofed stage. Experience will be your best guide here. The dough will be cold as it comes out of the fridge. 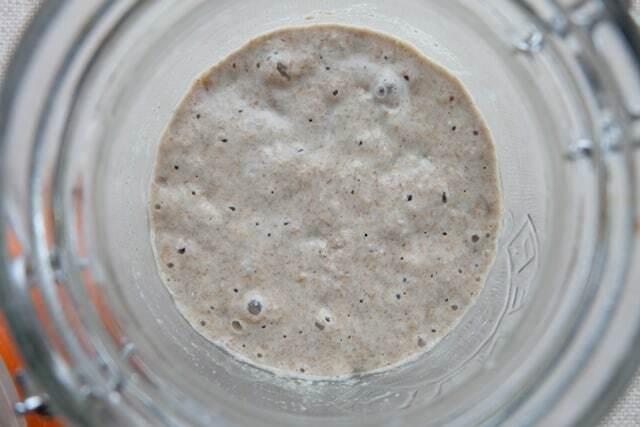 If you are proofing your sourdough overnight for its first rise, it will take a while to get going again. Ensure it arrives into a warm space after its time in the fridge. Get to know the vigour of your sourdough and get the dough temperature right before starting the overnight rise. This will ensure you limit some of the risks described above. 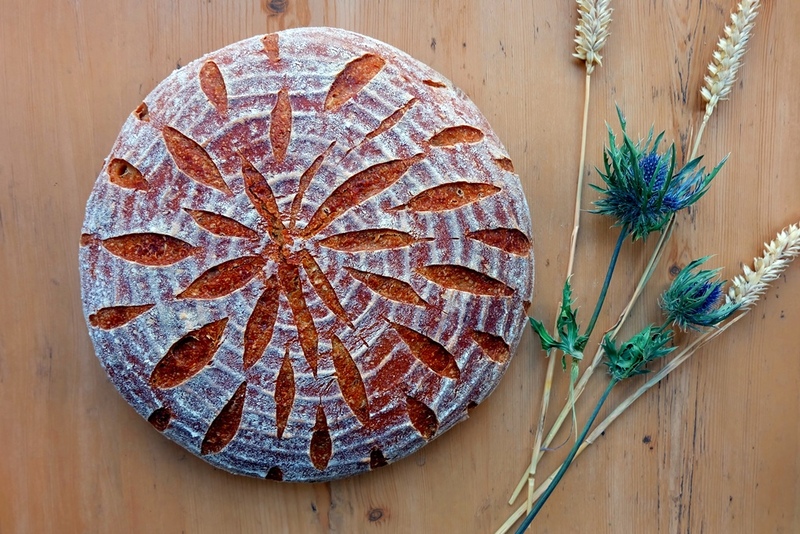 Experiment with different recipes and different flours to test and learn. 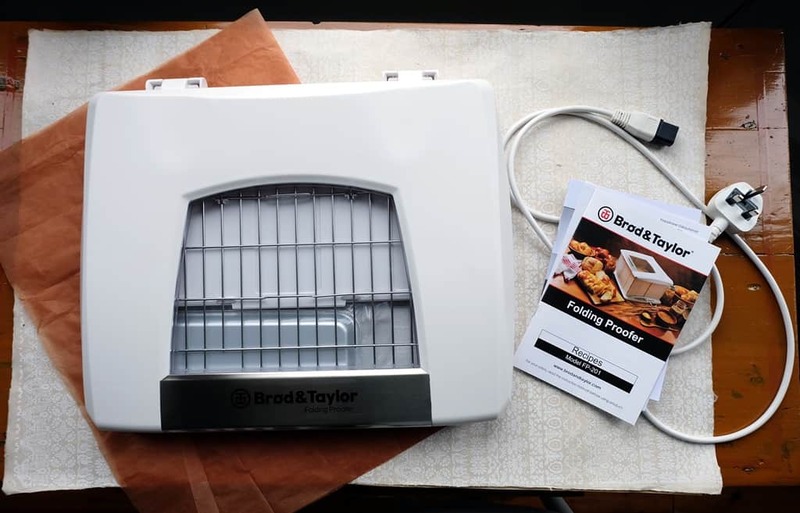 I finally got my hands on a Brød & Taylor folding proofer and wanted to share my review notes with you. Typically, I proof bread overnight in the fridge when baking during the week. 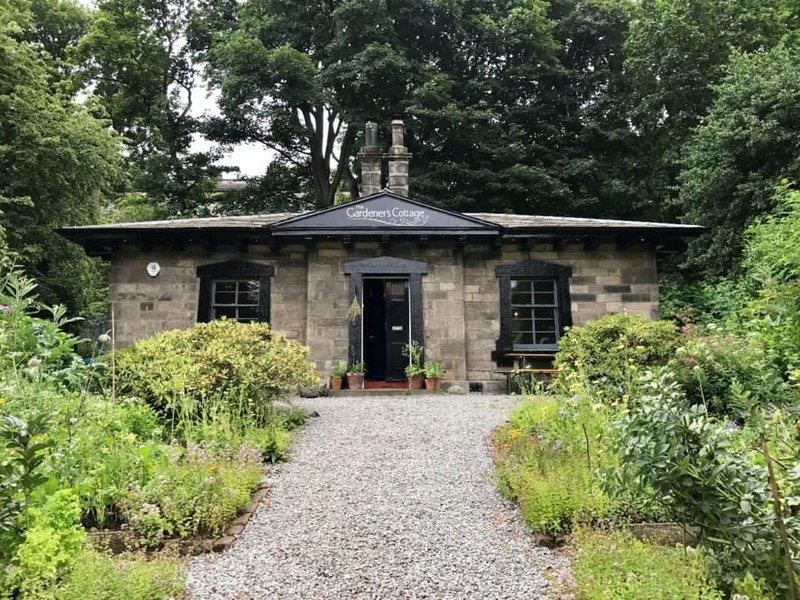 My weekend bakes usually proof during the day and this can take many hours as my Edinburgh flat rarely reaches temperatures above 20°C and is usually lower. The folding proofer is essentially a large cabinet that holds air temperature at a set level and provides a warm and moist environment for optimal dough proofing. I don’t have a proofing cabinet in my rather dated kitchen set-up and had therefore never tried to work with an ‘artificial’ proofing environment. Although, admittedly, my proofing baskets can been seen on radiators and near our fire place frequently. 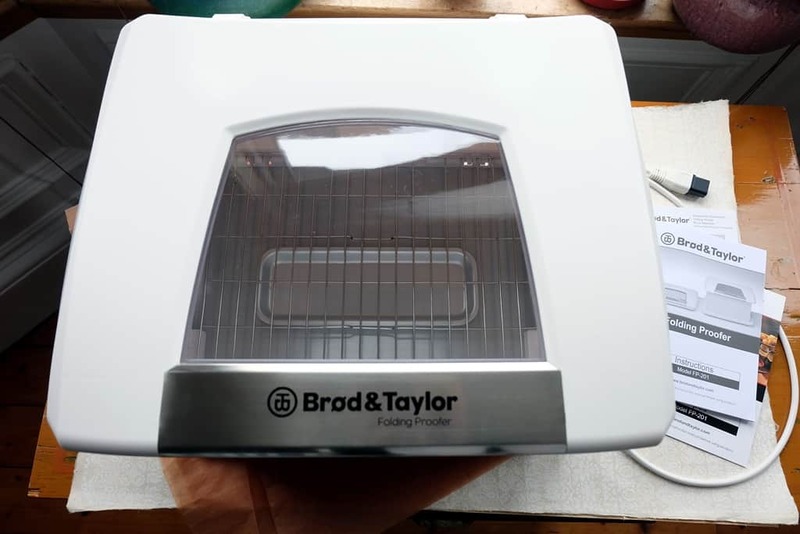 Brød & Taylor folding proofer – I’ve taken the lid off the proofer for this shot. You can see the wire rack (the tray of water sits just underneath it) and the foldable sides. Ease of assembly – The Brød & Taylor folding proofer is a high-quality product, super easy to set up and subsequently fold away to store. 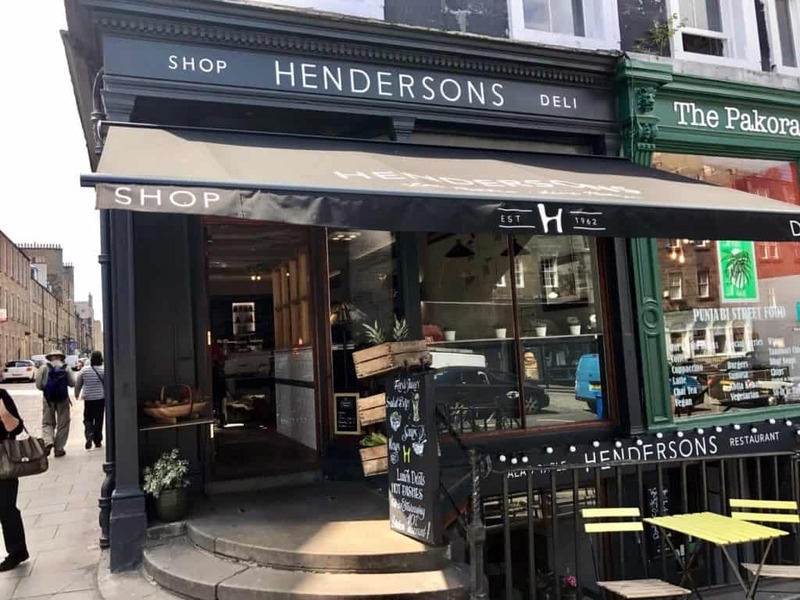 Limits guesswork – A few degrees difference in dough temperature can change the duration of the bulk fermentation or the final proofing a lot and being able to set the temperature has allowed me to plan my time around the proofing processes a lot better. The home proofer delivers both in terms of predictability as well as reliability. No need for extra cover – It takes away the need to cover your proofing basket or tins with a polythene bag as the included water tray keeps humidity at an optimum level. Fewer plastic bags used is always a good thing! Works for all types of dough – I’ve used the folding proofer for yeast-based and sourdough bakes, light wheat and heavy rye loaves as well as for enriched doughs and, perhaps unsurprisingly, the folding proofer has worked well in all instances. When in Ireland last weekend, I picked up a big bag of wheatgerm – an ingredient found in most well stocked supermarkets over there. 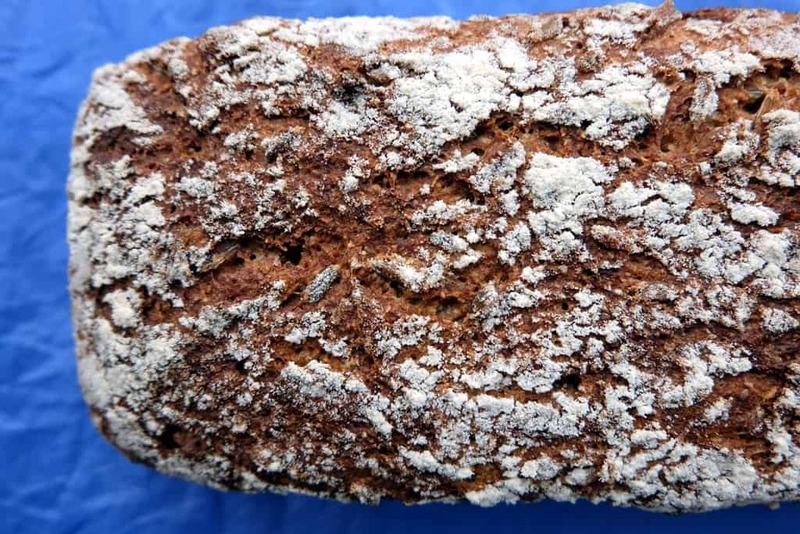 I use wheatgerm in this recipe for brown Irish soda bread and in this homemade granola recipe. 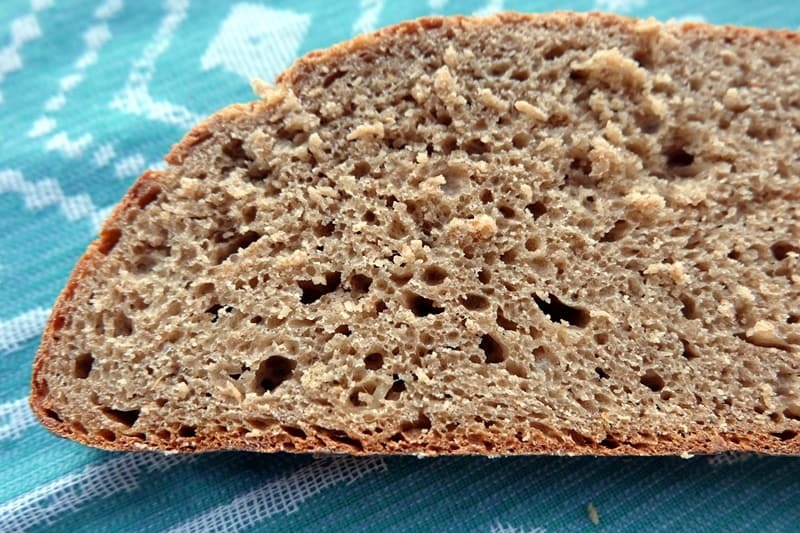 However, Dan Lepard also features a good-looking wheatgerm bread in his book ‘The Handmade Loaf‘ and here is my version of his wheatgerm bread recipe. Wheat germ (short for germination) is the small, nutritious centre of a wheat kernel. It’s the part of wheat that sprouts and grows into a new plant and comprises only about 2.5% of the weight of the kernel. 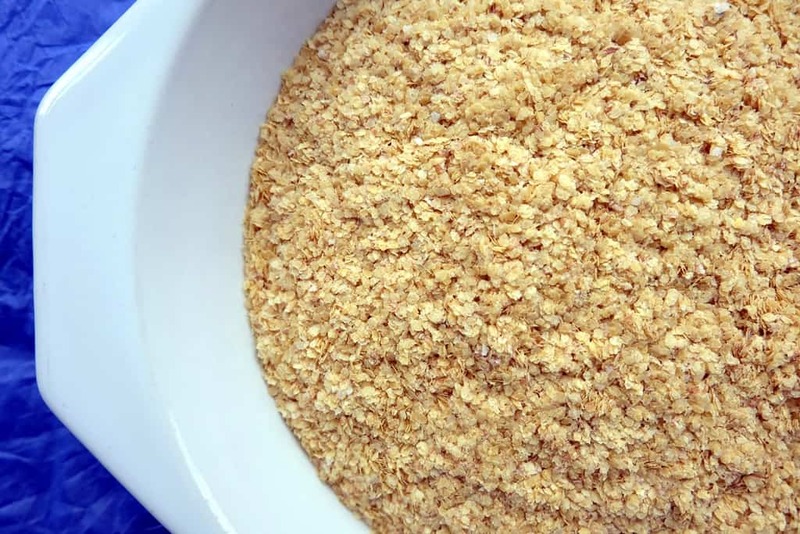 Wheat germ is removed during white flour refinement but it is used in whole wheat flour. This is my slightly adjusted version of Dan Lepard’s wheatgerm bread recipe. I use double the amount of whole grains, half the amount of honey and replace orange juice with milk in my recipe version. I also opt for not toasting the wheatgerm due to some nutrients being lost during the toasting process. Place the whole grains in a small saucepan, cover with water and simmer for 20-30 minutes. Ensure the grains remain covered with water at all times. Remove from the heat, add cold water to the pan so the grains become lukewarm, then drain. In a small bowl, combine the water and honey and warm up slightly (not too much) to thoroughly mix the two liquids. In a large bowl, combine the wholewheat flour, wheatgerm, cooked whole grains, dried yeast, salt, the water and honey mixture and the milk. Form a dough and knead briefly. When evenly combined, cover the bowl and leave to rest for 5 minutes. Use this time to grease a 9 x 24 cm loaf tin (I used rapeseed oil and a silicone pastry brush to do this). Remove the dough from the bowl and knead for 10 seconds. 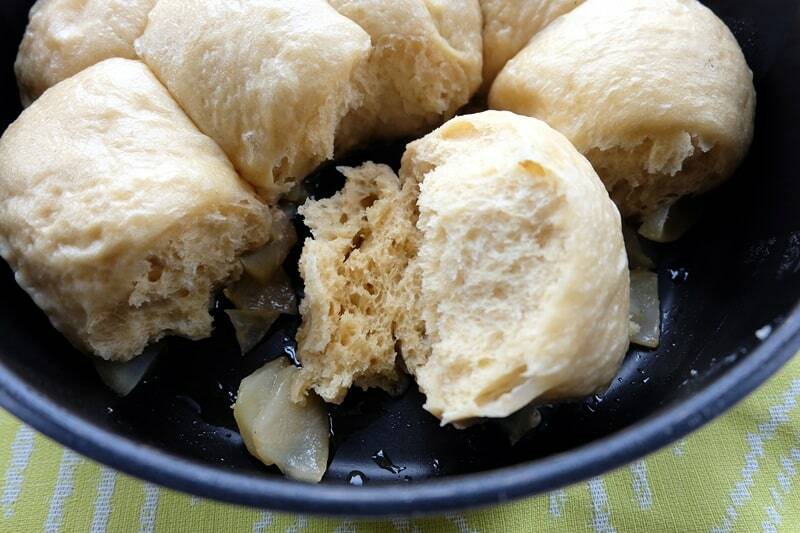 Shape the dough back into a ball, return it to the bowl and cover. Leave for 5 minutes and repeat steps 9 and 10 twice more. On a lightly floured work surface, pat the dough into a flat rectangle measuring roughly 25 cm left-to-right by 20 cm top-to-bottom. 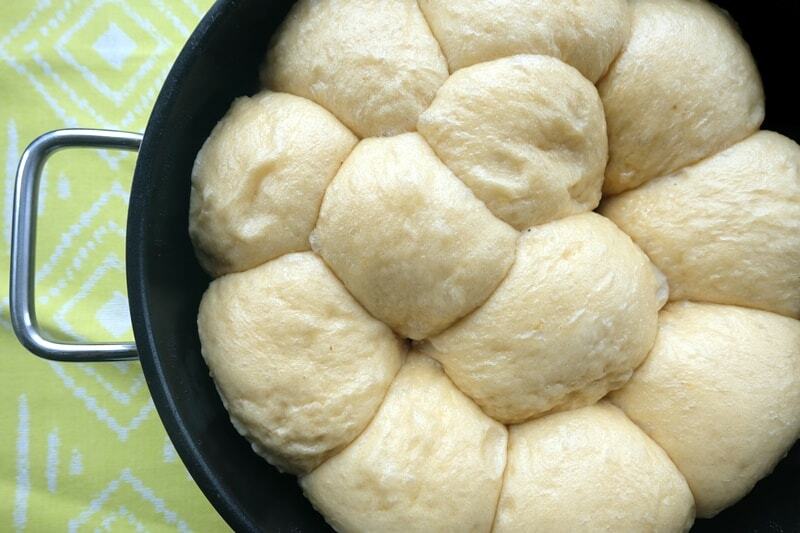 Roll the dough inward, starting at the end furthest from you, rolling it tightly. Roll the dough gently on the work surface, then pat the ends inward so that it will drop neatly into the prepared tin. Lightly flour the dough’s top surface. Cover the tin with a polythene bag and leave to rise at room temperature for approx. 1 – 1.5 hours, until it has risen about 1 cm over the top of the tin. Ensure to preheat the oven to 220°C about 20 minutes before this time. Place the tin in the centre of the oven and bake for 40 minutes. Remove from the oven and, after 5 minutes, remove the loaf from the tin and leave to cool on a wire rack. 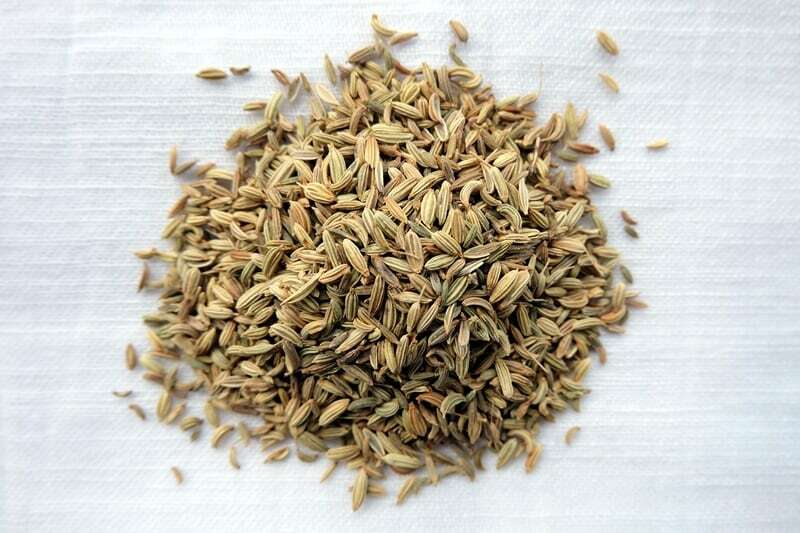 The fennel seed is a a beautiful ingredient for bread baking – think subtle aniseed with warm, sweet aromas. 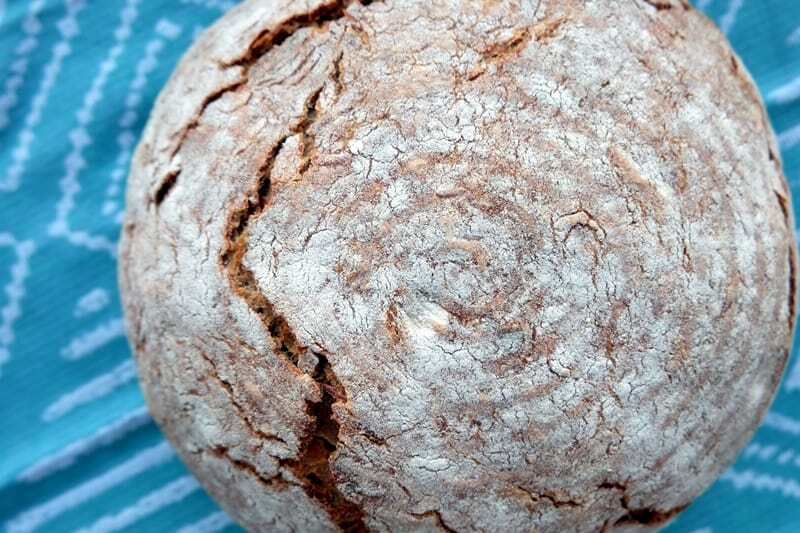 This fennel seed bread recipe brings out the best of the seed’s aromatic flavours. 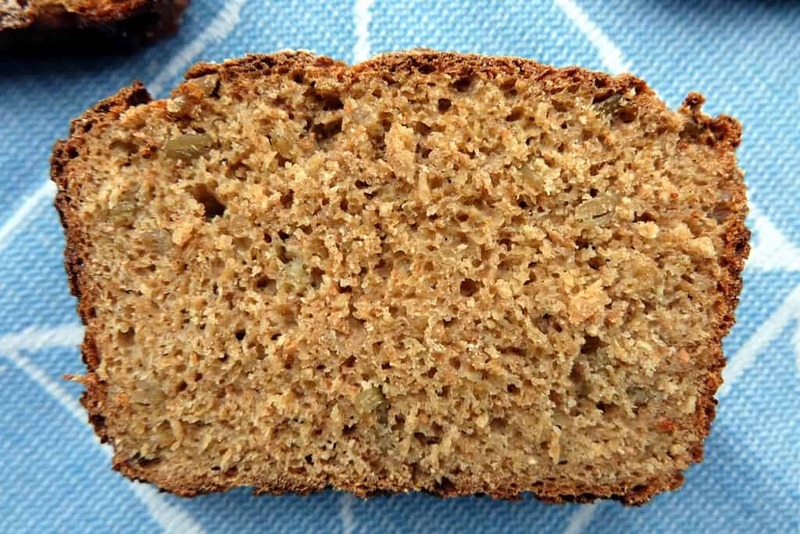 A flavoursome breakfast bread for any day of the week! For my fennel bread recipe, I’ve chosen a combination of flours: strong white wheat and maize flour. Taking a look at other bakers’ recipes, there are plenty of fennel and nut combos, specifically hazelnuts (e.g. Ottolenghi’s fennel seed crackers or Hamelman’s hazelnut and fig bread with fennel seeds and rosemary). Dried fruits such as raisins, cherries or figs are also popular fennel seed companions (e.g. Andrew Whitley’s semolina, raisin and fennel bannock). 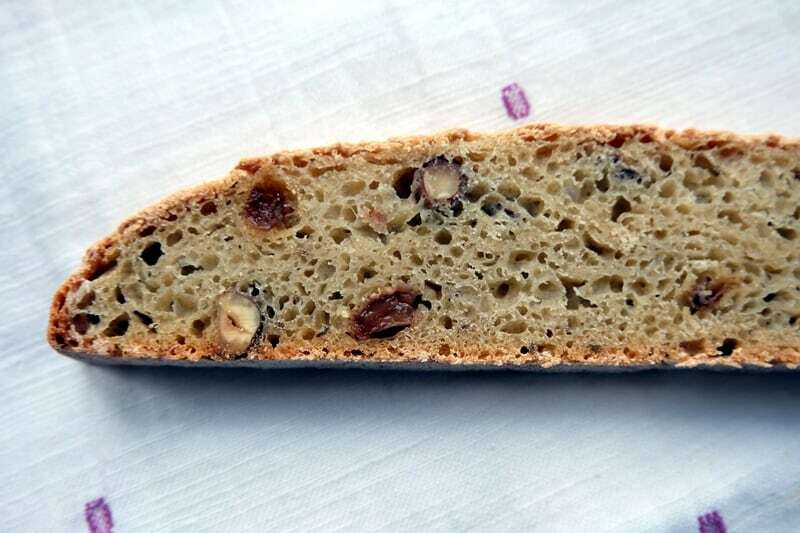 As such, I’ve opted for a fennel bread which includes nuts and dried fruit and it works beautifully. My recipe uses a fruit, nut and fennel seed soaker to infuse some of the liquid that goes into the dough to extract some extra flavour from the seeds and to soften the raisins pre-bake. 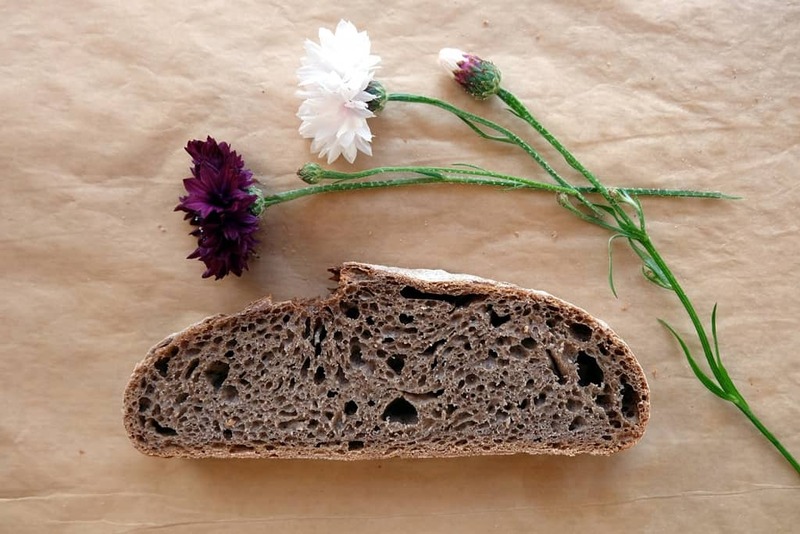 I provided options for both a yeast-based and a sourdough-based version of this bread below. 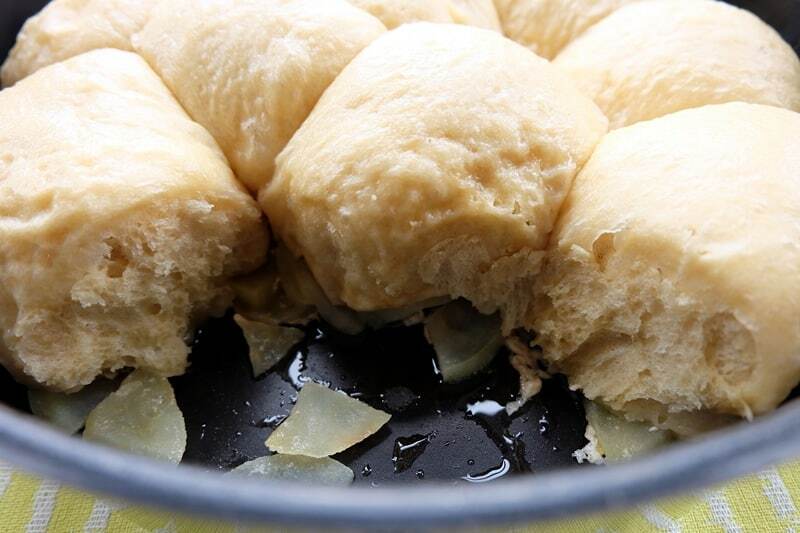 This recipe is based on a small of amount of dried yeast as the leavening agent. Prepare the raisin, hazelnut and fennel seed soaker by lightly toasting the fennel seeds in a frying pan for a few minutes until fragrant. Transfer to a mortar and roughly crush with the pestle. Combine the fennel seeds and other soaker ingredients in a bowl, stirring before covering the bowl. Leave to rest for a few hours or overnight. After this, combine all of the main dough ingredients and add the liquid from the soaker. Place in a bowl and cover for about an hour. The dough will have visibly risen by then. 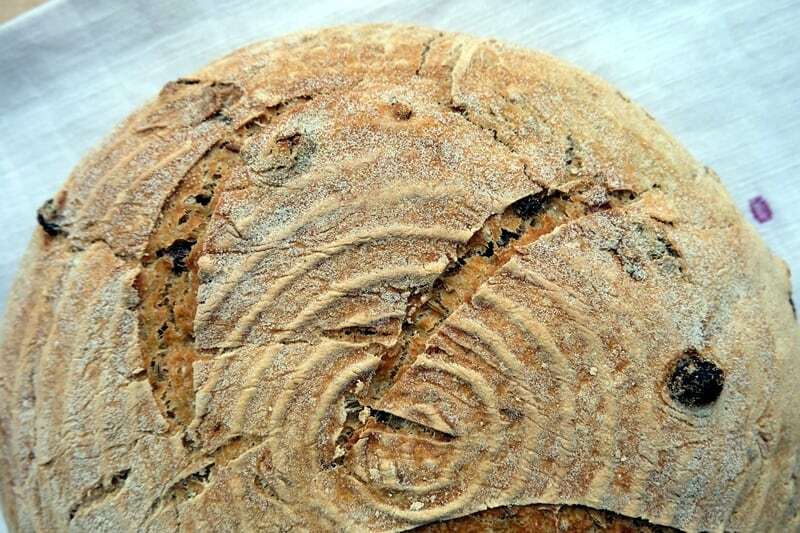 Take the dough back out of the bowl and fold in the raisin, hazelnut and fennel seed soaker until distributed evenly throughout the dough. 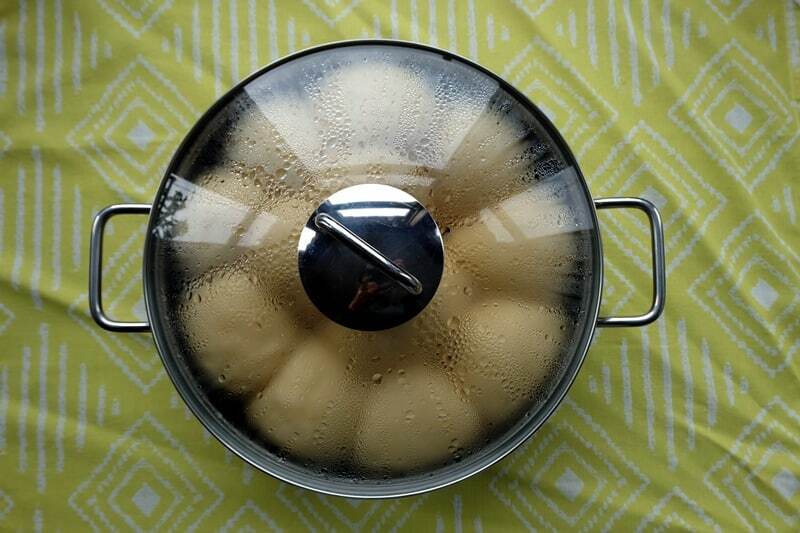 Shape the dough into a round loaf, cover the outside with flour and place into a pre-floured proofing basket. Cover the proofing basket in a polythene bag to prevent the dough from drying out. Rest for an hour or two until the dough is fully proofed. 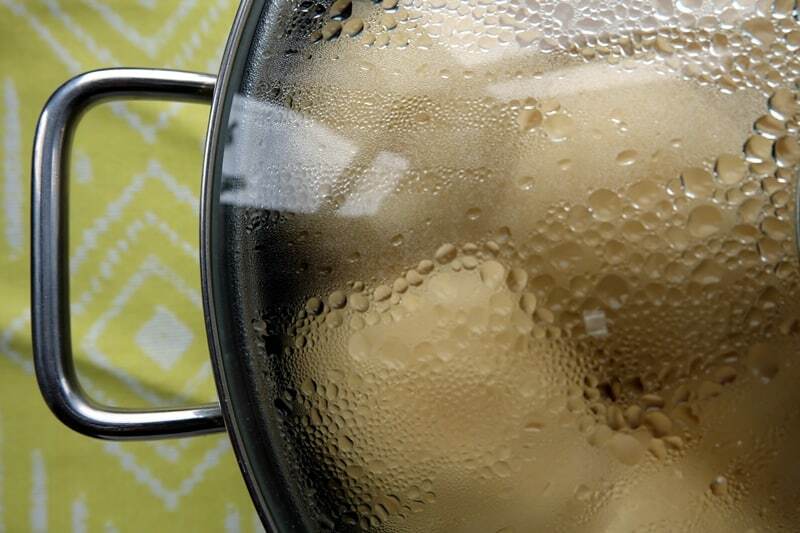 Preheat the oven to 220°C and – if you are using a baking dome – preheat the dome from cold at the same time. 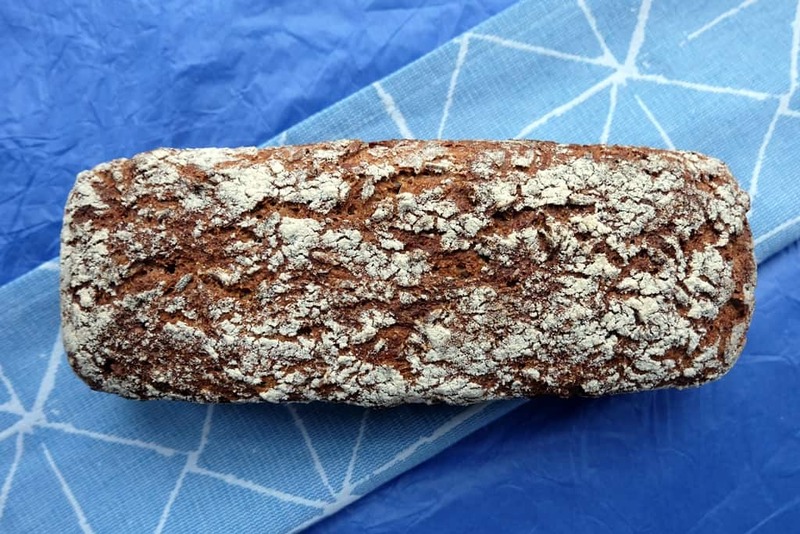 Turn out the fennel seed loaf onto the baking dome plate (or otherwise a baking tray lined with baking paper) and score the bread with a scoring knife. Cover the dome if using. Bake at 220°C for 10 minutes, then turn down the temperature to 200°C for another 45 minutes. Take off the baking dome lid for the final 10 minutes to brown the loaf nicely. 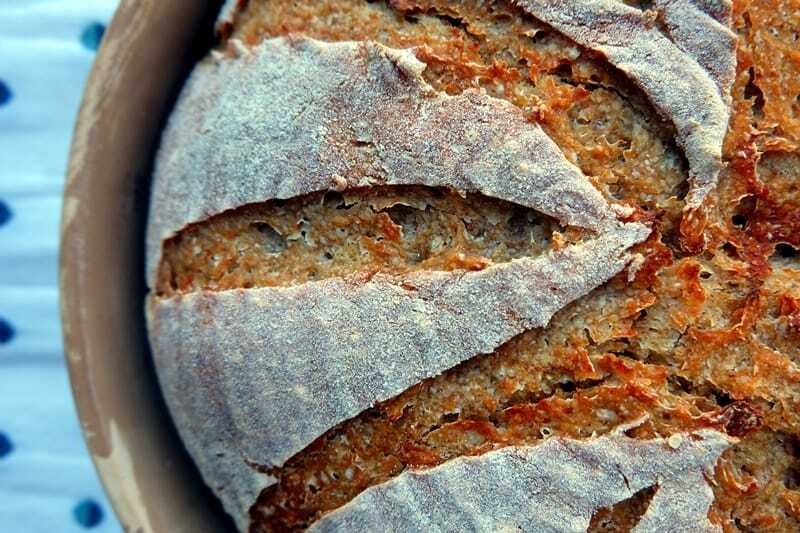 This version of the recipe doesn’t use commercial yeast, but uses sourdough starter instead. Refresh the sourdough starter by combining the sourdough ingredients mentioned above in a medium bowl. Mix well, cover with a lid and set aside at room temperature for at least four hours or overnight. At the same time, prepare the raisin, hazelnut and fennel seed soaker by lightly toasting the fennel seeds in a frying pan for a few minutes until fragrant. Transfer to a mortar and roughly crush with the pestle. Combine the fennel seeds and other soaker ingredients in a bowl, stirring before covering the bowl. Leave to rest for a few hours or overnight. After this, combine all of the main dough ingredients with 200g of the refreshed sourdough starter (the rest goes back into the fridge for your next bake) and add the liquid from the soaker. Follow steps 3 to 12 as in the yeast-bread recipe version above. However, please allow more time for step 4 and step 8 as the process will take quite a bit longer using sourdough instead of yeast. I also used fennel seeds in this Moroccan bread recipe.